A rearward-facing car seat, also known as an infant-only seat, is a car seat used for newborns up until they weigh between 20 and 30 lbs. 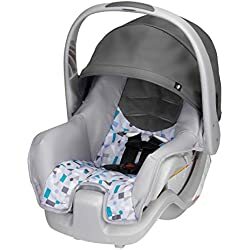 There are two groups which we use to categorize newborns car seats; a group 0 seat is generally used until 10kg (22lbs) while a group 0+ can be used to a heavier 13kg (29lbs). 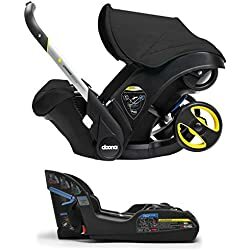 These types of car seat differ from the convertible car seat, which can be used for newborns as a rear-facing seat and then converted to a forward-facing seat when your little one exceeds the rear-facing limit. 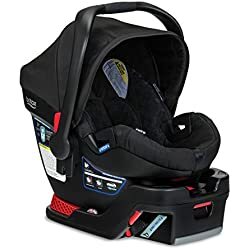 Of course, all children grow at different rates, so it is important to look at the height limits too, as a tall baby might outgrow a rear-facing car seat before they reach the maximum weight limit. 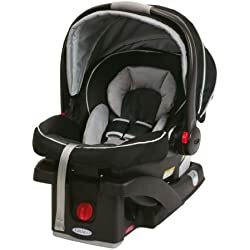 An infant car seat is great for both parent an baby, because you can use them with a travel system, meaning you can move baby from the stroller to the car without taking them out of the seat and most important, without waking them! This makes life so much easier for busy and sleep-deprived parents of newborns. 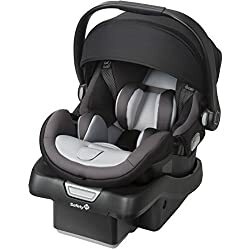 If you prefer a convertible car seat for longer use, check out my article and my top convertible car seats by clicking here. 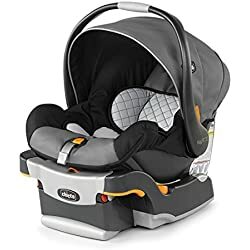 Here I’m going to show you my favorite infant car seats, all of which have passed the necessary safety tests and crash tests required by law. Click on each image to see more details about that particular product.